Kampala City Guide, Kampala's most innovative website maintains an interactive, scalable map of Kampala, which is continously improved and updated. Kampala City Guide shows tourists and citizens of Kampala the locations of hotels, restaurants, hospitals and other important places in Kampala. The future is now – and you can take part in it! Take your opportunity and advertise in Kampala City Guide, the brand new innovative information system. Free download of Kampala Map (KML) with 3d buildings for Google Earth. 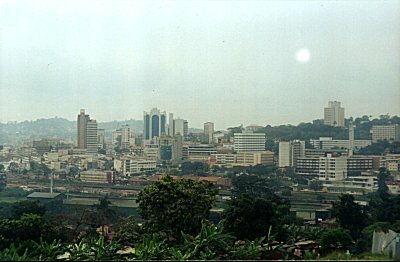 © Copyright Kampala-City-Guide.com, 2002-2007. All rights reserved.